A full-fledged PrestaShop 1.7.5.0 was released a week ago and is now available for downloading. Although developers claim it’s a minor release, it still has brought a number of useful innovations and improvements to platform’s performance that will greatly enhance merchant’s and manager’s experiences. We want to thank PrestaShop developers for their hard work and dedication, and now – let’s go over PrestaShop 1.7.5.0 new features. In general, the main share of improvements is connected with the recognition of SEO importance. The Categories, Brands and Suppliers pages became more search engine optimized, providing easier recognition by ranking mechanisms. What is more, when a new merchant creates a store, he will receive a great share of SEO recommendations and guidance concerning the creation of URLs. Google dynamic preview of a product page, allowing you to see how it will be displayed in Google search results and make sure everything is filled in and positioned in the right way. 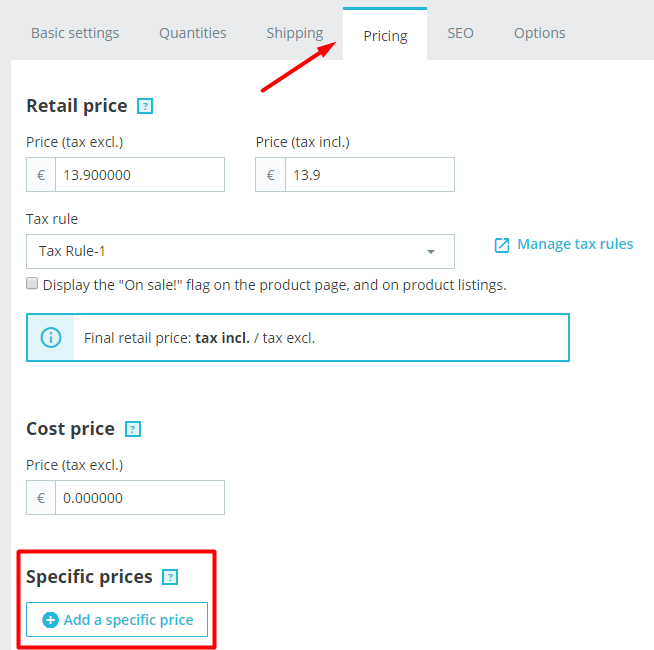 Specific prices in Prices tab, which greatly simplify the process of assigning special prices during promotions and sales and modifying them afterward. Physical stock location feature allows to indicate in PrestaShop back office a product storage location (warehouse, isle, shelf, etc. ), simplifying the store logistics massively. 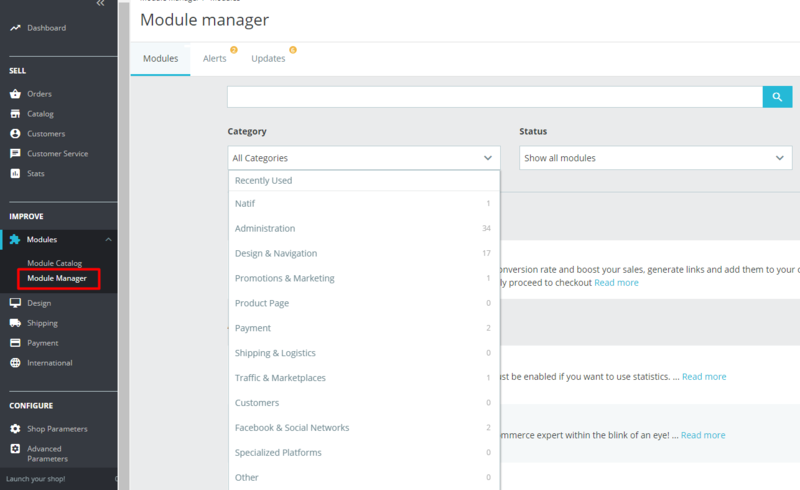 New installed modules categorization, providing easier and more intuitive access and sorting capabilities. Alerts – the section for notifications that need to be taken care of as soon as possible. Buy Button Lite – generates Buy buttons for content pages (blogs/emails/ videos) that send the user directly to the shopping cart. 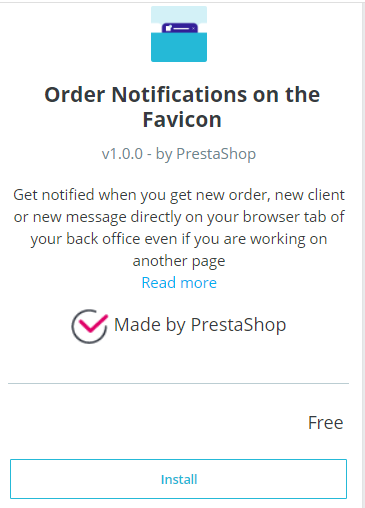 Favicon notifications in the back office – make your PrestaShop back office notifications visible directly at the favicon with this module. 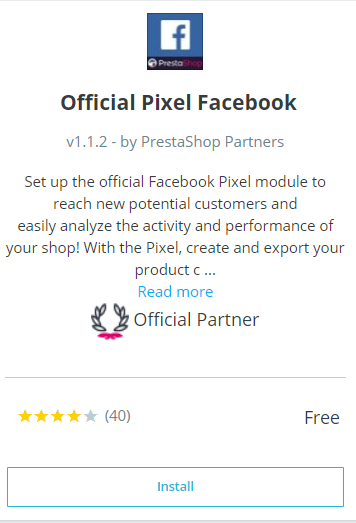 Official Pixel Facebook – export your product catalog to your Facebook business page automatically. And if you still don’t have a Facebook shop page, we highly recommend you to create one as soon as possible. Here’s a comprehensive guide why do you need a Facebook Shop and how to organize it. Google Sitemap – generates a webstore sitemap in an .xml format for a merchant to see and make some improvements if necessary. You can also learn about PrestaShop sitemaps here. Cross-selling – displays similar products on a product page. Products viewed – displays recently viewed products on the product page. new languages added – Arabic, Bosnian, Galician, Hindi, Latvian and Mexican Spanish, making it to 43 available languages. The first two points are specifically important for search engine ranking position of a webstore. Google is constantly emphasizing how crucial good mobile optimization for an online store is since the number of mobile users is growing extremely fast. What comes to increased page loading time, it lowers the percentage of bounce rate. This is all about the new PrestaShop 1.7.5.0 features. 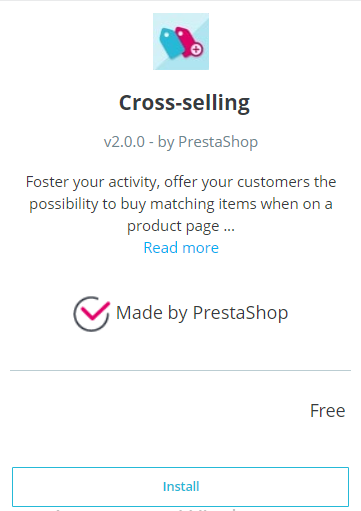 Very soon, in spring of 2019, a new, larger version will be released – PrestaShop 1.7.6, which will be, logically, even better than this one. For now, if you have questions about the current version, feel free to ask them in the comments.